The framework of Dioptra fosters collaborations with major Cultural Heritage stakeholders in the region creating a unique and wide research network with an extraordinary momentum for future activities. Dioptra is based on a digital platform that develops in modules dedicated in the study of various aspects of Cypriot cultural heritage. 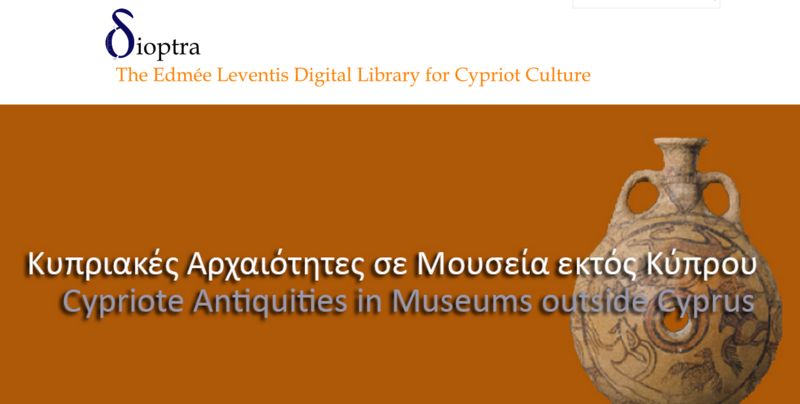 The completion of the Ancient Cypriot Literature Digital Corpus project has offered the first module with others following such as projects on the Cypriot Archaeological Collections in Foreign Museums and the work of Byzantine Artist Theodore Apseudis. Digital Libraries by ICACH is licensed under a Creative Commons Attribution-NonCommercial-NoDerivatives 4.0 International License.